Portland heads down the coast for a weekend in Silicon Valley. 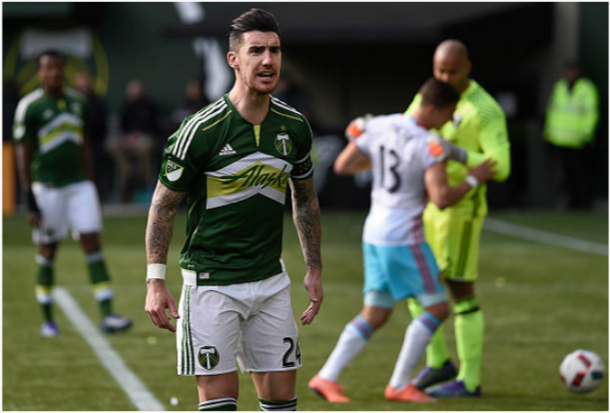 After a rough start to the season, the Timbers find themselves the owners of a two game winning streak, most recently a comprehensive, clinical 3-0 win over current strongest-team-in-MLS New York City FC. So of course the best thing that could have happened after that big home win was...a week off! Sometimes schedules are dumb. I'm sure the Timbers would have preferred to play last weekend and keep that momentum going, but instead, they got a week off to recharge, do more work, and get ready for this weekend's opponent, the San Jose Earthquakes. San Jose has been a bit of a horror show for the Timbers in recent years - they haven't won down there since October of 2014. They play decently well against the Quakes in Portland, but for whatever reason, they struggle when they go down there. It's not like Avaya is a particularly intimidating atmosphere, and Buck Shaw was, to be generous, sparsely attended most games, so I can't really explain why they're so poor on their travels, but here we are. The Timbers will take a lot of heart from that 3-0 win over NYCFC. They controlled almost none of the ball, and yet were in effective control of the game, thanks to coach Gio Savarese drilling his team in the fine art of letting the opponent have as much of the ball as they want in a non-threatening position and shutting off all lanes that led to threatening positions. Every time the Timbers picked off the ball, they'd score, and while they didn't see much of the ball, they never felt threatened. Even though San Jose are off to a rougher start than the Timbers, they're not that far behind them - the Timbers have one more win, but San Jose has not won since opening weekend, so if there is such a thing as "momentum", I think the Timbers might have it at this point. Does that mean anything? Doubtful, but I do know the Timbers are playing a lot better now than they were three weeks ago, and if that can continue, maybe they'll get that elusive San Jose win this time. For San Jose, everyone's available except Tommy Thompson, although Yeferson Quintana is questionable. The Timbers are in almost equally good health - Vytas is still doubtful, as is Bill Tuiloma, although that latter might not be an issue with Liam Ridgewell seemingly healthy and back in favor in that centerback spot. Jeff Attinella looks to be this week's winner of Timber Goalkeeper Musical Chairs, but it also wouldn't be shocking to see Jake Gleeson back there, as that is probably the Timbers' most unsettled position right now.